Scratch N’ Sniff Mobile Ads? YES. Let’s just get this out of the way right up front: this is not an April Fool’s joke. But you know what really gets me? I used to joke about this. When I first started this job, I was so blown away by all the rad new consumer experiences possible with modern mobile engagement that I would jokingly tell my co-workers that the “next big thing” in our industry was going to be scratch n’ sniff mobile ads. Which was, of course, patently ridiculous. I mean, sure, mobile phones now come with high-definition video cameras and GPS and games and flashlights and the infinite time-wasting potential of YouTube—but they can’t ever actually smell like anything other than the inside of your pocket. Right? The crazy mad geniuses who built the oPhone disagree. Apparently, they wanted to make it possible for consumers to send digital messages containing text, images, sounds, and—for the first time ever—aromas. 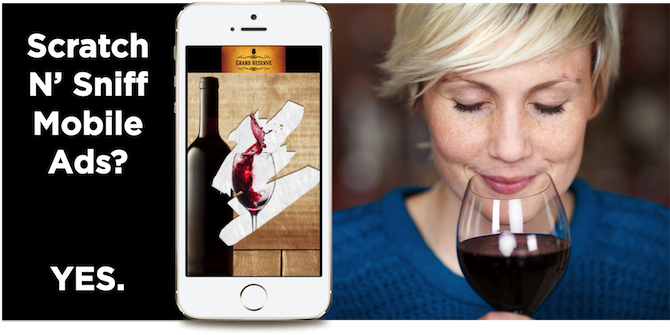 Consumers use an app to manually define scents from more than 3,000 possibilities, then send that aroma profile to any mobile device. 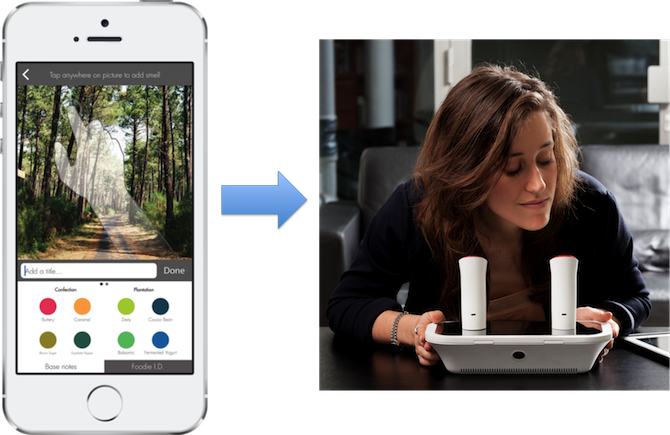 When a recipient plugs their device into an oPhone “smelling station,” it mixes fragrances to physically produce the odor. Awesome, right? And it got me thinking—these guys just tore down the final technical barrier on the road to real-life scratch n’ sniff mobile ads. All it would take would be for a brand to combine the oPhone with something like FunMobility’s Lucky Scratcher landing pages. Scratch N’ Sniff Mobile Ads! Lucky Scratcher was created to mimic the experience of a lottery scratch ticket, using mobile touchscreen functionality for a fun and interactive way of accessing multimedia content or redeemable mobile coupons. And, if this oPhone thing actually takes off, Lucky Scratcher landing pages could potentially one day be used for making scratch n’ sniff mobile ads. 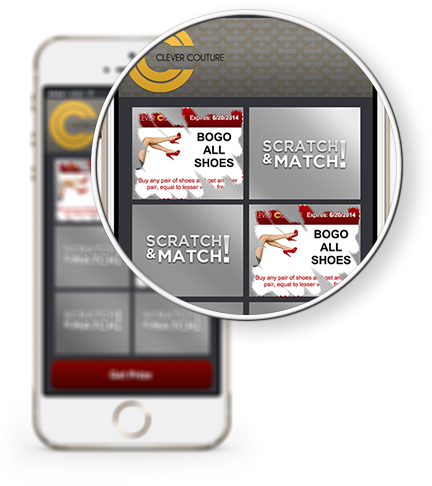 Lucky Scratcher Ad Units are just one of the features made possible with FunMobility’s Mobile Engagement Platform.